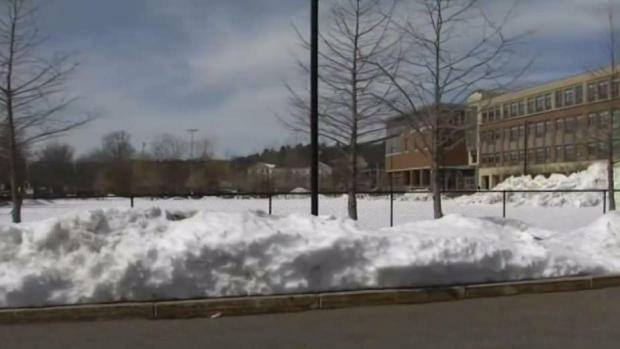 Students in Bridgewater were hoping for a snow day Thursday but it doesn't look like they will be getting one after heavy snow failed to materialize with a fourth nor'easter. Earlier Wednesday, however, Boston Mayor Marty Walsh announced that Boston schools would be closed Thursday. New England is getting a break from what was expected to be a fourth nor'easter bringing up to 10 inches of snow in parts of New England. Residents around the region had been preparing for the nor'easter to move into New England Wednesday night, expecting the storm to bring another round of heavy, wet snow and possible coastal flooding. Snow did begin falling in some areas Wednesday afternoon, but the storm is pulling away a lot quicker and the heavy snow bands that were anticipated to come in with this storm did not materialize all that well. They are offshore, far enough away that they will not be of a huge consequence to us Wednesday night. 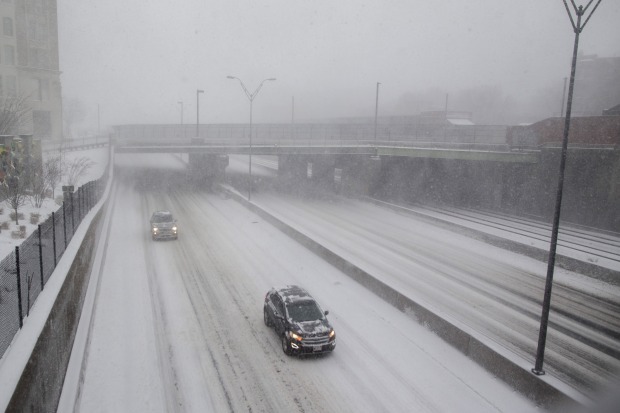 The snow didn't establish in greater Boston like it was predicted to. It should have been snowing steadily in southeastern Massachusetts and increasing through the night but because it hasn't established yet, our meteorologists have scaled back on the snow amounts. 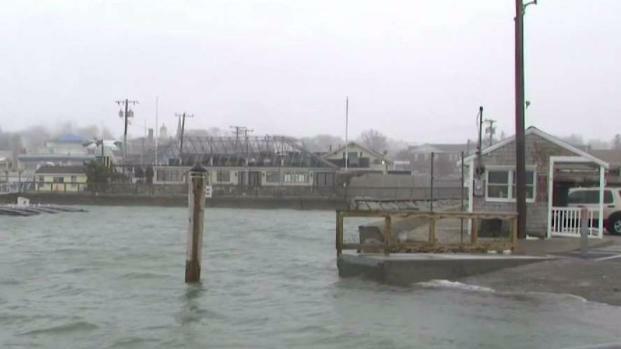 Scituate, Massachusetts residents say they are always ready for the next nor'easter but they aren't concerned about this fourth one. But while heavy snow never materialized, we're still not out of the woods with the coastal flooding. There will be periods of snow overnight, and the snow is still coming, but it will be a lot less than originally predicted. With the snow fizzling out, this storm is now expected to bring 1-3 inches to Boston and 3-5 inches in southeastern Massachusetts. Roads will be wet Thursday morning so there could be slippery spots during the morning commute. The snow consistency will be on the wetter side, but due to the smaller accumulaton amounts, power outages shouldn't be a concern. Coastal flood watches were issued, with wind gusts over 50 mph expected in some areas. There will still be gusty winds Wednesday night. 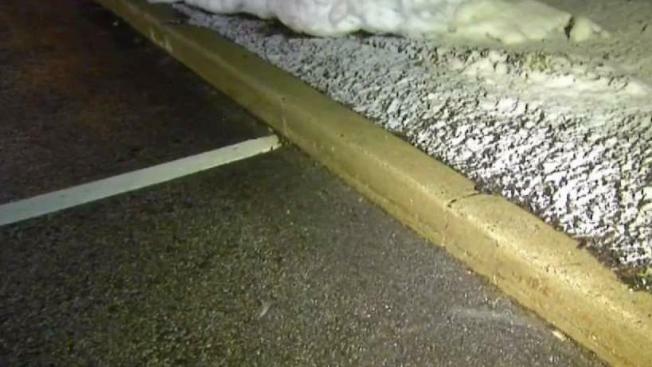 Some school districts across the region announced they will be closed Thursday. This March has been a snow plow driver's dream. Even though every nor'easter has been profitable for them, even they are ready for spring. Boston Mayor Marty Walsh announced Wednesday that schools would be closed Thursday. "Although we're facing some uncertainty in the forecast, Boston is taking the precautionary measure to cancel school tomorrow to ensure the safety of our students," Walsh said in a statement. Boston Centers for Youth and Families will be open from 7:30 a.m. to 6 p.m. for children 7 and older whose parents are at work. Walsh said the Department of Public Works crews have up to 800 pieces of equipment ready to pre-treat and clear roadways. There are also 28,000 tons of salt on hand. The mayor urged residents to stay off the roads and check in on neighbors during the storm, and clear sidewalks and pedestrian ramps once it passes. In preparation for the storm, which was expected to intensify by late afternoon, dozens of schools announced early dismissals. 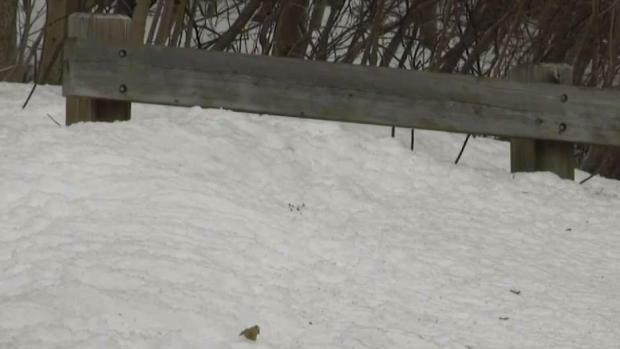 Some schools in Massachusetts let out early Wednesday as heavy snow was expected. In Worcester, schools were dismissed two hours early Wednesday. "It's a hard call, but I'd rather see the kids get home safe," parent Sonia Scanlon said. Other parents were frustrated with the decision, especially since not a flake had fallen in most of Massachusetts by Wednesday afternoon. The school superintendent in Westerly, Rhode Island actually apologized for canceling school. "It was the wrong decision," Superintendent Marc Garceau acknowledged on Facebook. 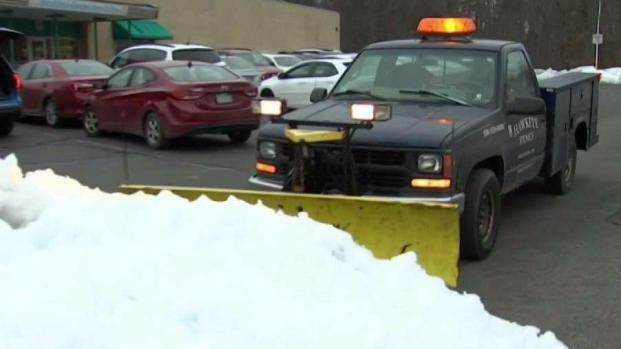 Some school systems in Massachusetts concerned about running out of time to make up snow days before July 1 have gotten creative. 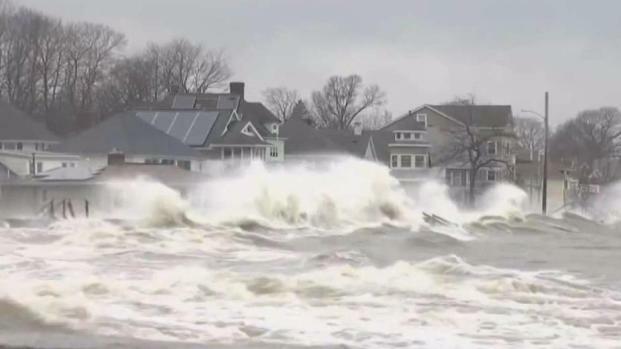 Concerns along the Massachusetts coast have renewed as a fourth March nor'easter strikes New England. 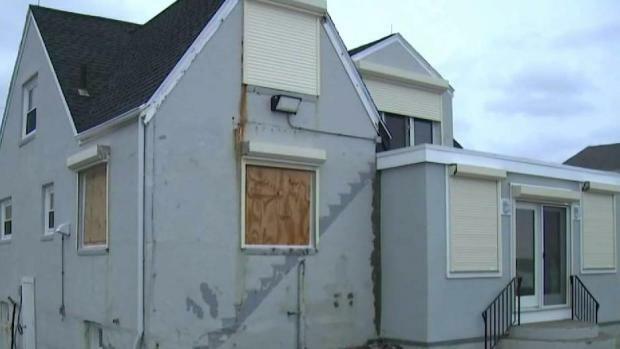 In Quincy, residents and city workers were preparing for possible flooding after a nor'easter earlier this month caused serious damage. Recovery work has been difficult with storm after storm continuing to hit the area. Matt Lyons and his family saw their home flooded with 75 inches of water during the nor'easter on the weekend of March 3. Now the water is gone, and Lyons, a carpenter, is getting his basement work space back together. "We're 80 percent up and running... considering," he said. "We have a wood burning stove that went underwater. That's helping dry things off too. "You can't get crazy over it. Just work with it," he added. "If the weather would cooperate with us we could get a lot more done." The 4th nor'easter could bring up to a foot of snow to some areas of Massachusetts by early Thursday. Meanwhile, the flight-tracking site FlightAware reported more than 4,400 canceled flights within, into, or out the U.S. on Wednesday, with more than 400 of those to and from Boston Logan Airport. Most of those flights were to or from New York City, Philadelphia and Washington, D.C.
Other flights, though, were able to get out ahead of the storm. "We're from Manchester, they booted us down here to Boston," said Terry Traut, who was at Logan Wednesday. "We are on the direct flight. So we're outta here, gonna be waving at the snow underneath us." Schools across Massachusetts are preparing for the possibility of delays and cancellations Thursday morning as a fourth nor'easter moves into the region late Wednesday. "Glad to miss it," said Marilyn Hoffman. "Glad that we're getting out before everything happens." On the ground, Amtrak said it would scale back service on the Northeast corridor and some states banned certain types of trucks from major highways. The MBTA said it will operate regular weekday service on the commuter rail and on the Red, Orange, Blue and Green lines Thursday. Ferry service will also operate regular weekday schedules. The Wollaston Station bus shuttle that operates all day to and from North Quincy, Wollaston, and Quincy Center due to Wollaston’s closure will continue to operate, though it may operate on a modified snow route if necessary. Some buses could also operate on their designated snow routes. If conditions warrant, the Mattapan Trolley Line may be replaced with dedicated shuttle service Thursday. Customers should check T-Alerts, the MBTA website, and @MBTA on Twitter for the latest service information.